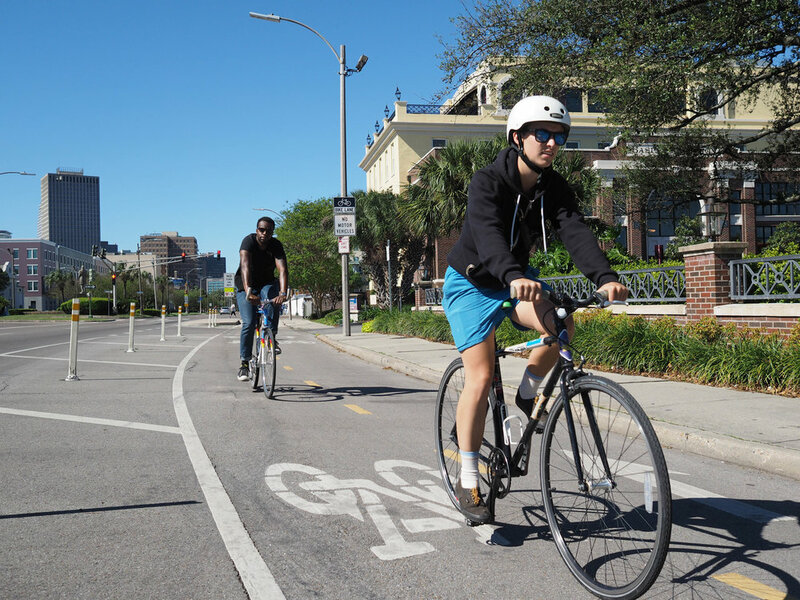 The City of New Orleans is implementing plans to build protected, connected bikeways throughout the city over the next two years, and is accepting community input starting April 8th! Last fall, Bike Easy and a coalition of partners worked with the City of New Orleans to demonstrate how a connected, protected bikeway transportation network can safely and equitably serve the needs of everyone who commutes in New Orleans. This private-public collaboration created thousands of experiences for local residents and sparked community discussions about how to best move the city forward to a new reality in which safe, affordable, accessible transportation options exist for everyone in New Orleans. Over a hundred businesses and nearly a thousand residents were surveyed. Traffic studies were deployed. This data, responses, and community feedback informed a report that expresses what worked and the lessons learned. Look it over & Bike Easy’s recommendations for moving forward. Connect the Crescent was a demonstration of a continuous, protected transportation network consisting of enhanced crosswalks, improvements to transit, and protected bikeways which featured barriers separating people biking from automobile traffic on routes leading to and through New Orleans’ French Quarter and Central Business District. Follow Connect The Crescent on Instagram!